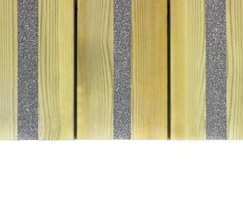 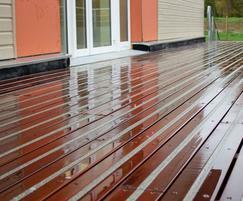 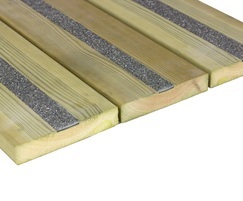 Gripsure Boardwalk Urban decking is used for urban boardwalks, ramps and balconies. 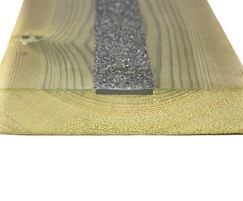 It is a plain deck board, with a modern appearance, incorporating one central aggregate strip that provides a good level of slip resistance. 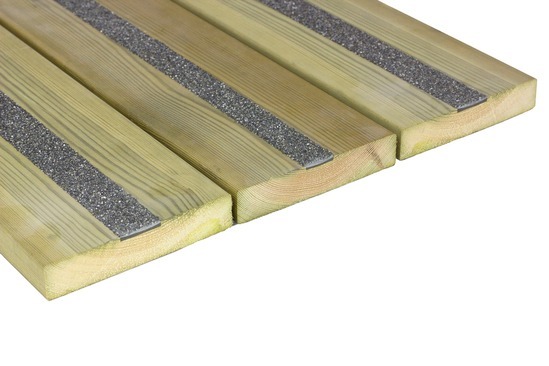 Boardwalk Heritage decking is ideally suited to projects requiring a sensitive treatment such as rural boardwalks and public gardens. 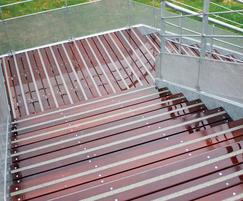 It has been used by the National Trust for woodland ramps and disabled access platforms.